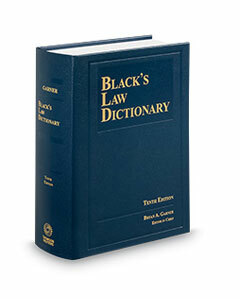 Shop law school books and resources for law students and professors, including Black's Law Dictionary and ProView law eBooks. The Thomson Reuters law school publishing business was divested in 2014. Our website no longer carries a number of previously offered academic titles. Now in its 10th edition, with more than 7,500 new terms. Thomson Reuters ProView gives you access to legal books on your desktop, laptop, or tablet. With ProView eBooks, you can add color-coded notes and highlights, link to Thomson Reuters Westlaw legal research, and search your entire eBook library. Opening your own small law firm? Going to work for a large or midsize law firm? Entering the world of general counsel? We have the tools to help you succeed. Not all legal research software is created equal. With Westlaw, you get authoritative content, attorney-editor enhancements, and industry-defining technology that helps law professors and students get the information they need, when they need it. Take your law school resources with you with mobile apps for Black's Law Dictionary, ProView eBooks, Westlaw, and more. Request a review copy of a legal textbook, watch author videos, and find key resources to prepare your law students for success. Save money, cut administrative hassles, and simplify your budget by unifying all of your print subscriptions into a single contract.